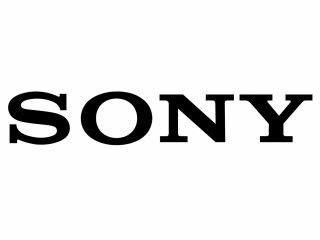 Sony has announced the launch of the new PlayMemories series of "post-shooting" solutions, which allows users to view, edit and share videos and photos on a variety of different electronic devices, including TVs, PCs, tablets and smartphones. The PlayMemories series will consist of four separate solutions: PlayMemories Online, PlayMemories Home, PlayMemories Studio and PlayMemories Mobile, each designed for a specific purpose. Some of the services are free, while others require payment. PlayMemories Online is a free service which allows users to upload videos and photos captured and enjoy them on compatible devices such as Sony televisions, PCS, tablets and etc. PlayMemories Home will be bundled with Digital Imaging Products and is PC software that allows consumers to easily transfer, organise, view and share photos and videos. It features a calendar and map view to make it easy to organise content according to date and location. 2D and 3D content can be edited and copied onto Blu-Ray disc media, while uploading to PlayMemories Online, as well as Facebook, YouTube and so on can be done quickly without the need for a web browser. PlayMemories Studio is a paid for service for PS3 users, which allows users to freely navigate personal videos and photos, along with editing HD video content in a video-game styled interface. Playstation Vita or PSP devices via RemotePlay can also be used. The service allows access to personal videos and photos on external cameras, hard drives and storage devices connected via USB to the Playstation unit. Again, content can be shared online quickly and easily. Finally, PlayMemories Mobile is a free app available for Android and iOS which enables the easy transfer of videos and photos captured with the Bloggie Live Video camera.